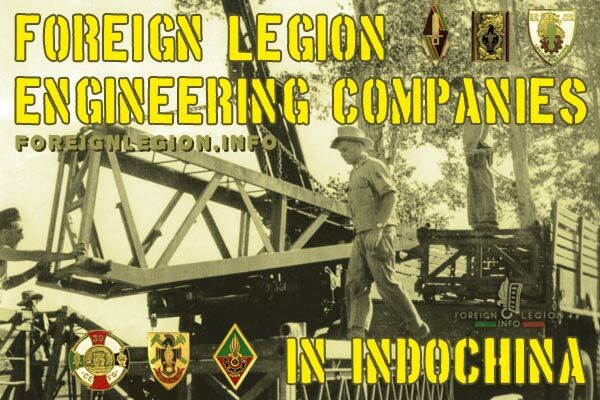 The 1st Engineer HQ & Services Company (1re CEMSG) was a Foreign Legion combat engineer headquarters organized in Indochina in early 1946. 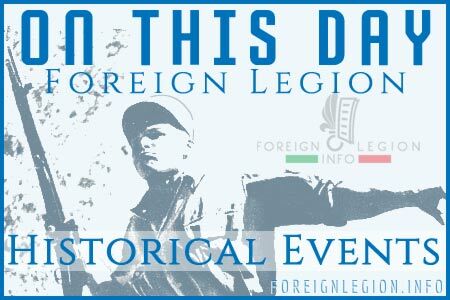 Its main task was to oversee the Legion’s all engineering units serving in Indochina during the early years of the First Indochina War (1946-54). Later, the company also provided non-combat engineer training. 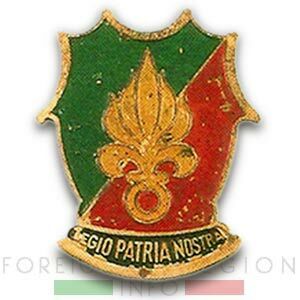 The unit was dissolved in 1950. The insignia of Folding Boat Platoon, 1re CEMSG, created 1946 or 1947. 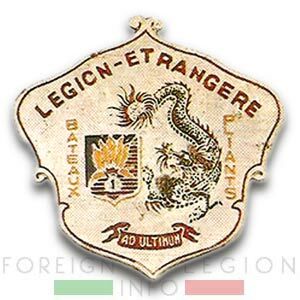 It bears a shield of an undefined Legion unit (with the seven-flame grenade of the Legion and the Legion’s green & red colors), a dragon as a symbol of Indochina and a banner with the latin motto AD ULTIMUM (Until the End). 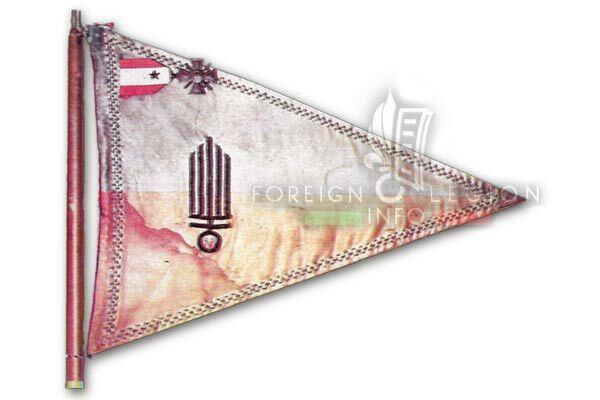 The fanion of Folding Boat Platoon, 1re CEMSG, used 1946-48. It bears the War Cross with a silver-gilt star, representing the mention in dispatches in the order of the Expeditionary Forces from 1946. The insignia of Heavy Equipment Platoon, 1re CEMSG, created 1946 or 1947. 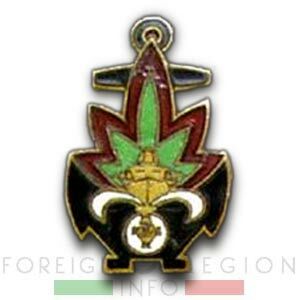 It has a shape of a breastplate (the symbol of French engineering units) made in the Legion’s green & red colors, with a gold seven-flame grenade representing the Legion. 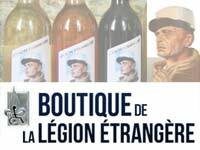 The insignia also bears the Legion’s motto LEGIO PATRIA NOSTRA (The Legion is our Homeland) in a black field (the color of French sappers-engineers). The insignia of Armored Boat Platoon, 1re CEMSG, created 1946 or 1947. 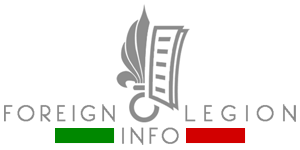 The black anchor (the color of French sappers-engineers and the symbol of French marines) bears the seven-flame grenade of the Legion in its green & red colors, with a depiction of an armored boat. The white part of the grenade represents French armored cavalry units. The depiction inside the white bomb is unrecognizable – most likely the feathers of a knight helmet (the symbol of French armored cavalry units), placed on a cross. 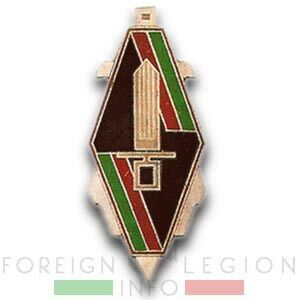 The insignia of the 1st Legion Engineer Training & Services Company, created around 1949. It bears the seven-flame grenade of the Legion in a black field (French engineering units’ color), the Legion’s green & red colors’ banners. The insignia is placed on an archor to symbolize folding & armored boats of the Legion. 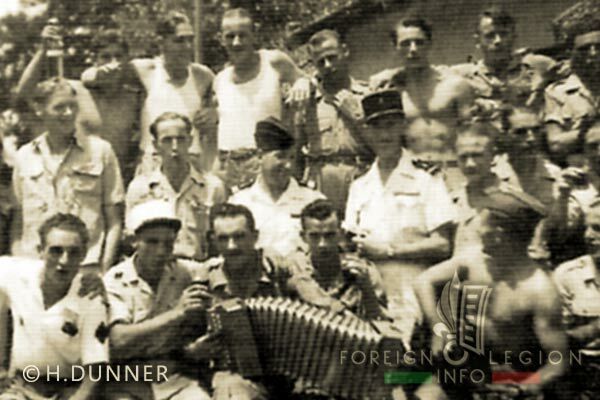 Legionnaires of the 1st Legion Engineer Training & Services Company (1re CISGL) during the Bastille Day in Saigon, July 1949. In the center, a platoon leader (bearing the calot, side cap) and his deputy (black kepi).